We are now accepting "associate membership" applications from individuals who do not qualify as regular members but would like to participate in our organization. 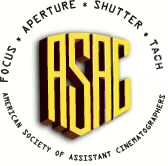 Fill in this form for membership application to the ASAC. Items marked with asterisks are required. Because of a curious Canadian law, Canadian residents (only) are required to correctly answer a mathematical skill testing question prior to acceptance. Type answer in box. All information submitted will be kept confidential. Except the part about the Alamo. I wouldn't wear an ASAC T-Shirt to a dogfight. Please tell us in ten thousand words or less why you would like an associate membership and why you believe you might qualify.